Unknown hitchhiker: Link to Mississippi burning death? BATESVILLE, Miss. (AP) — A woman testified Wednesday that she picked up a hitchhiker the night that a Mississippi woman was fatally burned, but she’s unsure whether it’s the man prosecutors have on trial. 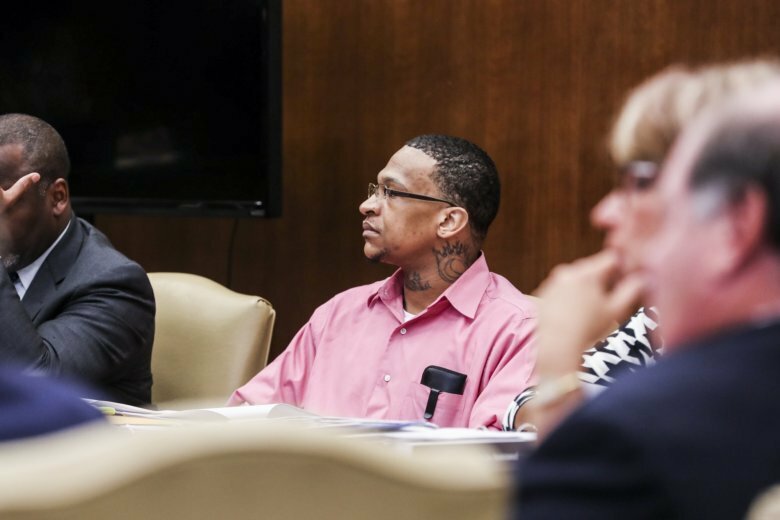 Quinton Tellis is being retried on capital murder charges, accused of burning Jessica Chambers on a rural backroad on the outskirts of the Mississippi hamlet of Courtland in 2014. She died hours later in a Memphis, Tennessee, hospital. A jury couldn’t reach a verdict in Tellis’ first trial last year. Sherry Flowers didn’t identify Tellis in court Wednesday and agreed with a prosecutor that she didn’t know whom she picked up. Still, prosecutors sought to connect the ride to Chambers’ death, suggesting it was the right time for Tellis to be heading away from Chambers’ car before he returned to burn it. Prosecutors also called witnesses who lived at the destination the hitchhiker cited who said they were cousins of Tellis. After Flowers left the Batesville courthouse, the Clarion Ledger reported deputies made a “traffic stop” of an individual who may have been following Flowers. Panola County Sheriff Dennis Darby said he didn’t know who had been stopped or if anyone had been arrested. Flowers picked up the hitchhiker close to a location where a sheriff’s investigator had testified on Wednesday that a Courtland resident found Chambers’ keys in a ditch two days after her death. The defense objects to the keys being entered into evidence because officials can’t prove where the keys were during that time. Four more emergency workers testified Wednesday that they heard Chambers say something that sounded like Eric when asked who had attacked her, bringing the total to give such testimony to 10 first responders over two days. One said she described the attacker as a black person, while another said Chambers indicated the attacker was not her boyfriend. The defense contends prosecutors have the wrong man on trial. Several also described Chambers wounds. A medical examiner testified that Chambers’ death was a homicide from soot and smoke inhalation and thermal injuries. Dr. Erin Barnhart said Chambers had burns over 93 percent of her body. She said Chambers was probably sitting when she was burned because of unburned tissue on her rear and lower back. “I think the most likely scenario based on that pattern was that she was seated,” Barnhart testified. Prosecutors have said they believe Chambers was reclined in the passenger seat of her car when she was set on fire. Another analyst testified gasoline was found on the remains of Chambers’ bra. Prosecutors have said they believe Tellis retrieved a gasoline can from a shed after he left the scene the first time and returned to set the car and Chambers ablaze. The trial is scheduled to continue Thursday with jurors touring locations involved in the crime and hearing from more witnesses.